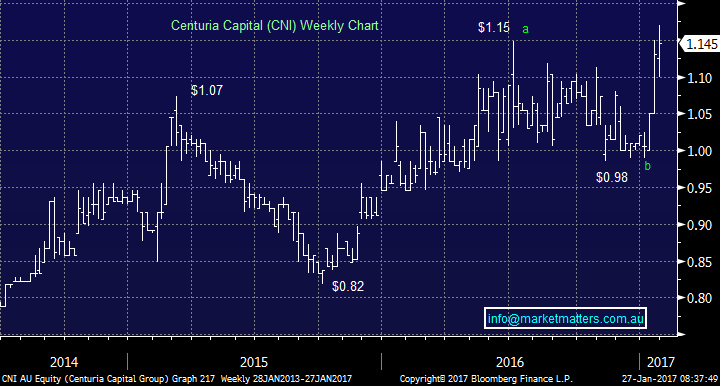 We’ve written that the ‘yield trade’ will struggle in 2017 and we still think that will be a case. However, sentiment will ebb and flow, and we need to be looking in places that might not have been on the radar in the last few years and are therefore still reasonably cheap. Income is still very important for many investors, and simply, there are not many places to get it. Buying a stock for yield in an environment of rising interest rates has risk, but so too does buying a ‘growth stock’ on a high multiple in that sort of environment. Here are 3 ‘cheap’ income stocks that we like the look of for the longer term. This is a funds management business but not your typical operation - they do property funds management, investment bonds, reverse mortgages and some insurance and they just recently bought 360 Capital – another funds management business to give them more than $3.5bn in assets. They are big in property funds management, and obviously, property has been through a very strong period, however, the 360 Capital deal is a positive one for earnings, and it will give the stock a lot more liquidity and eventual inclusion in the ASX 300 we think. Cheap, high yield, low debt and a reasonable pathway to grow earnings over the next few years. 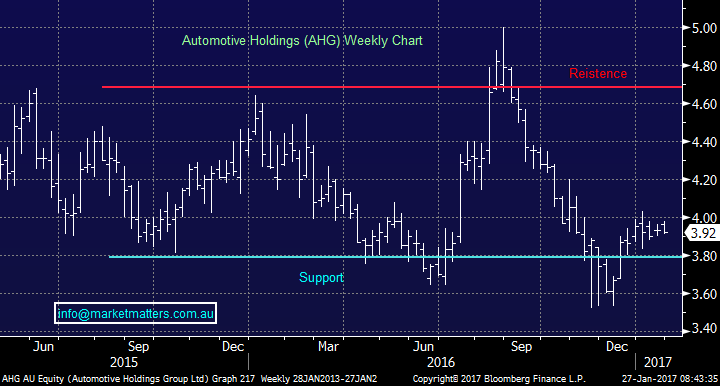 AHG is Australia’s largest car retailer with around 6% market share, and it’s also Australia’s largest refrigerated food transport and warehousing provider. This is a company with a long history that’s had a tough time in the last six months, which is the reason why it now offers good value and a decent yield. The car retailing side of the business has been going very well. However, the logistics side has been a major drag. At their last update towards the end of 2016, they outlined a big cost reduction plan in their cold logistics business which should significantly improve earning there however ultimately, a sale of that division at a reasonable price could be the trigger for this stock to move higher. A turnaround play. One of Australia’s most well-known fund managers that specialises in investing in international equities. They manage around $23bn now, but that number has come down over the past 12 months or so, largely a result of weak performance in their major funds. 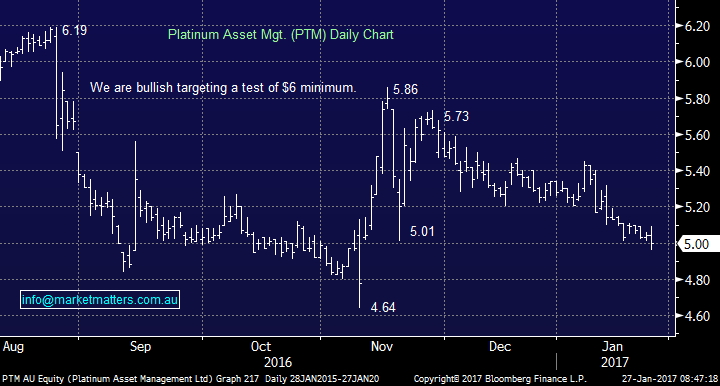 PTM is an active manager, and active managers struggled last year. The rise of cheaper, passive funds is a headwind but at the end of the day performance is the key, and it is starting to improve. This is stemming the slow of redemptions that are still happening but at a slower rate. This is a contrarian play but cheap relative to peers, and it’s cheap relative to its historical PE which for the last five years sits around 17.5x.